For months now, Samsung has been throwing us the 'What's Next" question referring to their recently released Android powerhouse - the Galaxy S6. And while it is a given thought that it comes with a sleek Edge version with double-sided curved glass display, many of us are still wondering if the Korean outfit could stand in its ground with the constant blow from Apple and other premium Chinese manufacturers. The Samsung Galaxy S6 is, nevertheless, the best designed Galaxy to date with its well put-together metal and glass construction. This instantly gives the latest high-end Galaxy S a premium look. Here's our "everything-you-need-to-know" post delivered in 10 sentences about the Samsung Galaxy S6 duo. Finally, Samsung departs from the unapologetic plastic build for its top-of-the-line Galaxy S smartphones. However, there are trade-offs that could be forgivable to most of the prospective buyers. For one, gone are the days that you can swap batteries with the use of detachable back cover. Moreover, Samsung also left the expandable storage on the cutting room with limited 32GB/ 64GB and 128 GB configurations. Lastly, there's no water and dust-resisting capabilities anymore unlike the Galaxy S5. The display is one of the most frenzied features of the device. 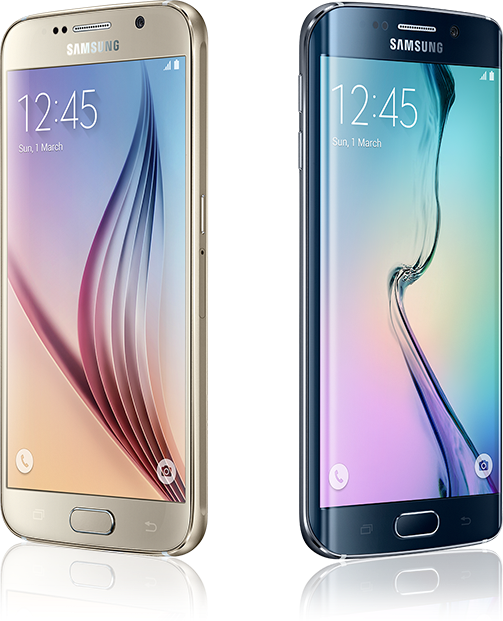 The Samsung Galaxy S6 still has the same 5.1-inch diameter from last year; it is now bumped with a Quad HD resolution that results in an eye-watering 577 ppi pixel density. Protecting the panel is the Gorilla Glass 4 which was also found in the latest Note flagship. On the other hand, the Samsung Galaxy S6 Edge touts the same screen size with a glass-bent display extending to both sides; this makes the device look bezel-less when seen on top view. There are the same 2560 x 1440p Quad HD resolution and Gorilla Glass 4. All the rumors claiming that Samsung has ditched Qualcomm are true after all. Both variants are now powered by the home-brewed Exynos 7420 chipset that is manufactured in a 14nm process. The SoC defines a more energy-efficient device that gives off less heat. Technically, this variant of Exynos is a 64-bit octa-core chipset which is similar to Snapdragon 810. It packs four cores of Cortex A57 which ticks in a 2.1-gigahertz speed; and four Cortex A53 cores at 1.5-gigahertz. The chipset is also coupled with the Mali T760 CPU and 3GB of RAM. 4. Is protruding camera now a trend? Samsung Galaxy S6 duo camera module sticks out of its body. It's an ISOCELL camera sensor with 16-megapixel shooter; and is tweaked with an optical image stabilization feature on the rear of the device. The Galaxy S6 is also capable of phase detection and 4K video recording. Flipping it over, the wide-angle 5-megapixel camera is up for selfies and pointing-and-shooting experience. Yes, you heard it right; Samsung Pay is the Korean outfit's answer to Apple Pay. It uses NFC and Magnetic Secure Transmission for mobile payments. It is also supported by the revamped Home Key which works much more like Apple's Touch ID in contrast to the required swiping gesture featured in the Galaxy S5. Having the Galaxy S6 will give you access to the blazing world of LTE Cat 6. It also comes with a complete set of radios like the WiFi ac, Bluetooth 4.1, GPS and GLONASS, IR Blaster, Beidou and FM Radio. The Heart Rate Monitoring sensor is still present. The Samsung flagship now supports Wireless Charging. Likewise, it also comes with a special charger that can charge up to 50 percent in 25 minutes. The Galaxy S6 Edge slightly packs a higher battery rating than the original S6 - that's 2600 mAh versus 2550 mAh. Under the TouchWiz, there's the Android 5.0 Lollipop to run the whole show. It is also worth noting that samsung lists several Microsoft apps includeing OneDrive. It offers 115GB of cloud storage for two years. 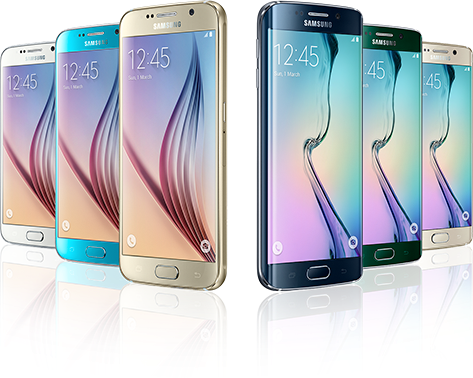 Samsung Galaxy S6 and Galaxy S6 Edge will be available in 20 different markets on April 20. The standard model will come in Black Sapphire, White Pearl, Gold Platinum and Blue Topaz. On the other hand, the Galaxy S6 Edge has White Pearl, Black Sapphire, Gold Platinum and Emerald Green hues. 10. So which Galaxy S6 is better? If availability wouldn’t be an issue, I bet most of you would line up for the Edge version. It is simply revolutionary. No one can argue with that. The curved display offers more than just customization. It offers the feeling of being on the onset of newer breed of devices.